Free shipping. Buy direct from HP. 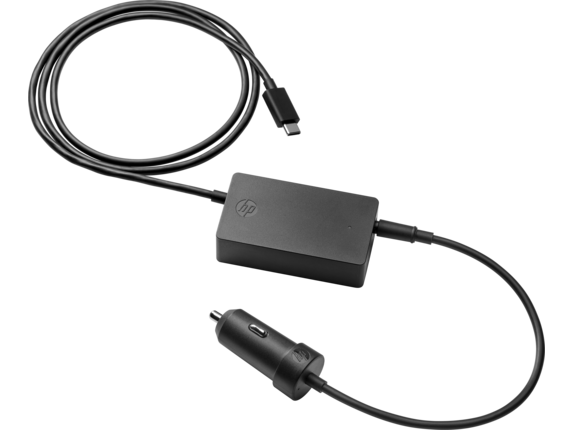 See customer reviews and comparisons for the HP 45W USB-C Auto Adapter. Upgrades and savings on select products. Plug the USB-C™ connector into your device’s  USB-C™ port, and the 12V cigarette lighter adapter (CLA) into your vehicle’s cigarette lighter. Handy LEDs confirm the adapter is powered. Use the USB-A 3.0 port on the mountable in-line circuitry box to connect to your choice of USB accessories. Plug the USB-C™ connector into your device’s USB-C™ port, and the 12V cigarette lighter adapter (CLA) into your vehicle’s cigarette lighter. Handy LEDs confirm the adapter is powered.